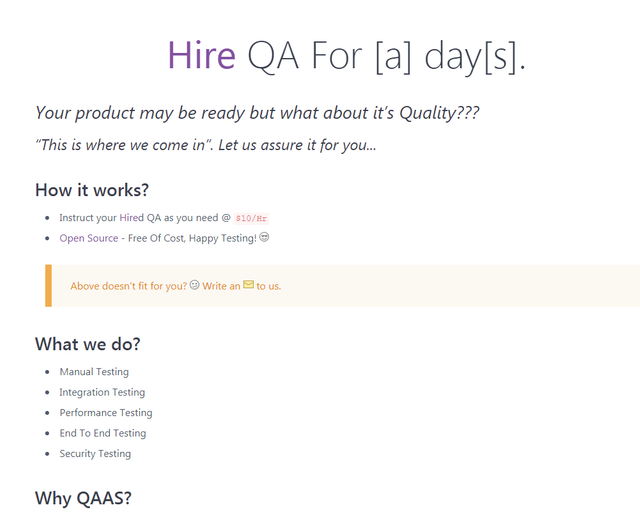 QA Lint is product testing platform by QA professionals that you can hire as per your convenience and price. First of all you will be working like team, pay for the bugs found and free, if you are on open source app developments. QA Lint professionals performs all type of testing like, manual, integration, End to End and security related. Thanks for giving me your precious time and effort. Give your views and reviews in comments. Thanks again. Do visit my earlier Hunts also. A great tool to check/test your App and aware you about your product security, performance, unused resources etc.